If you are a photographer or an artist and share on your website your own images, you probably don't want users to be able to download them. In WebWave - website builder with no coding - we added a special feature to prevent your website from image theft. 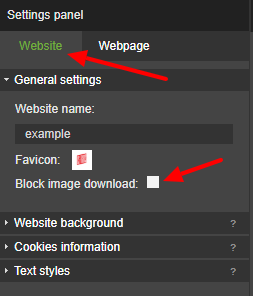 To activate this feature, in Settings panel in the builder go to "Website" and in "General settings" tick a box next to "Block image download".